For all 154 luxury hotels in Milan, we show actual room availability. A walk on the famous Piazza Mercanti is an excellent way to get acquainted with the cultural heritage of Milan. The street is the location of numerous outstanding historic buildings. Loggia degli Osii is a beautiful medieval building famous for its graceful balcony, which is built of black and white marble slabs. The whole building is erected by the order of Duke Matteo Visconti. Panigarola- a beautiful Gothic building – is located nearby. In the 15th century the building hosted the local Registration Chamber. The construction of Palace of Counsel was completed in 1562. Today, however, only a portion of its facade is visible from the street. Keep walking in this part of the city and you will see a beautiful Paris Commune Tower - a beautiful monument of the 17th century. The roof of the building is decorated with a beautiful statue of St. Ambrose. 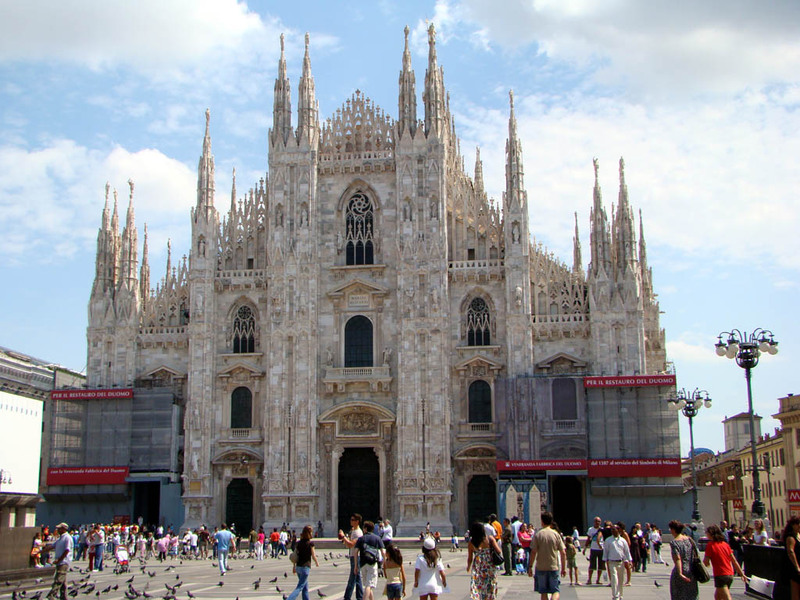 Milan is home to a huge number of museums, in which you can see unique historical artifacts and art objects. Castello Sforzesco is now home for a beautiful museum, which houses collections of rare paintings and sculptures. Besides this, the halls of the museum are decorated by very rare and precious museum pieces - antique furniture and tapestries. Poldi Pezzoli Museum is located in one of the oldest mansions in Milan. Several centuries ago the house belonged to a well-known collector, who initially had an irresistible passion for armor and knight ammunition, but later began collecting rare and precious paintings. Nowadays everyone can see this wonderful collection created by Poldi-Pezzoli. OrangeSmile.com enables you to book a room in one of the luxury hotel in Milan with best price guarantee. We offer 154 high-quality, comfortable and luxury hotels in Milan, Italy - often with low price tags and high discounts.